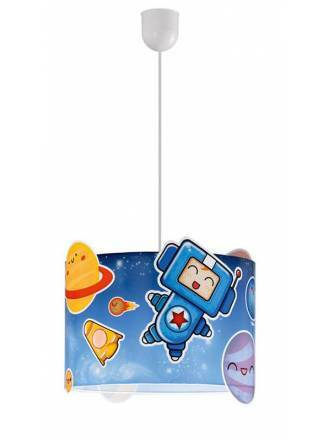 Catalog of childrens lamps, colorful ceiling lamps. 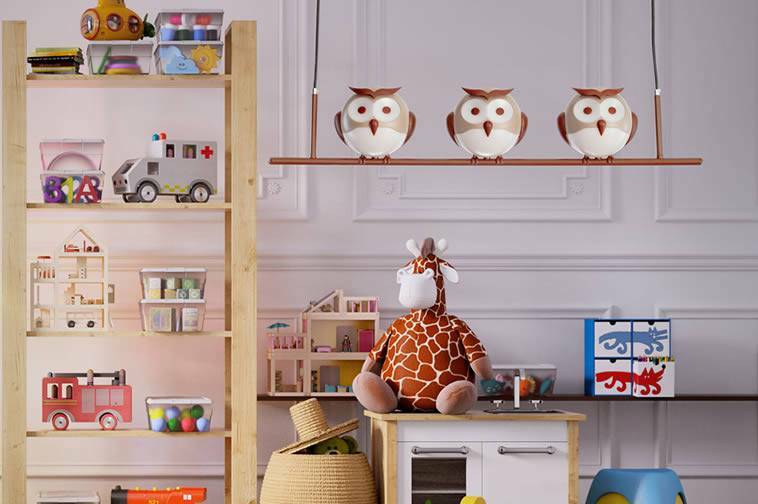 Original designs to decorate kids rooms with colorful atmosphere. 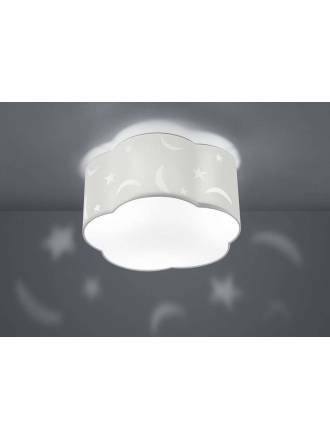 ANPERBAR Topitos children lamp 3L. Made in white metal and beige fabric lampshades. TRIO Moony 3xE27 children lamp. 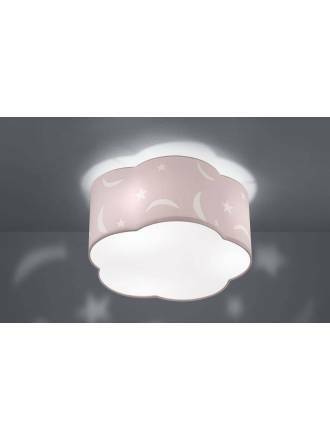 Pink fabric lampshade decorated with moons and stars. 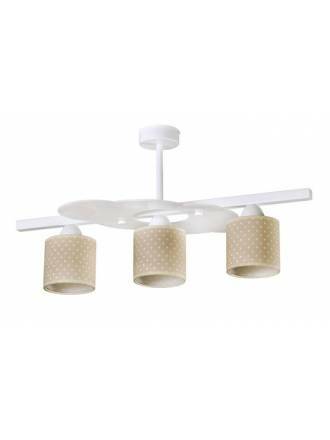 TRIO Moony 3xE27 children lamp. 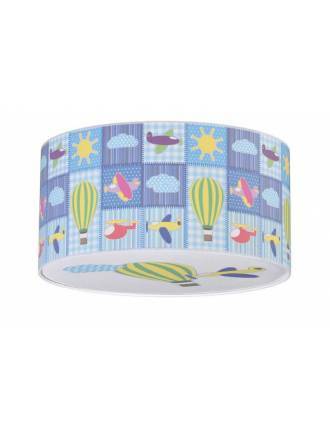 Blue fabric lampshade decorated with moons and stars. TRIO Moony 3xE27 children lamp. 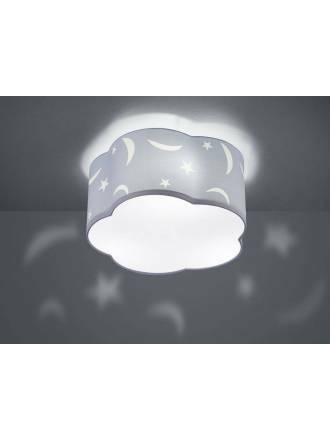 White fabric lampshade decorated with moons and stars. 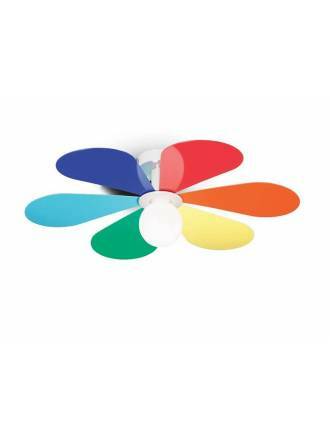 TRIO Damian Smart 11.5w LED RGB pendant lamp. Works with Alexa and Google Assistant. WIFI connectivity. 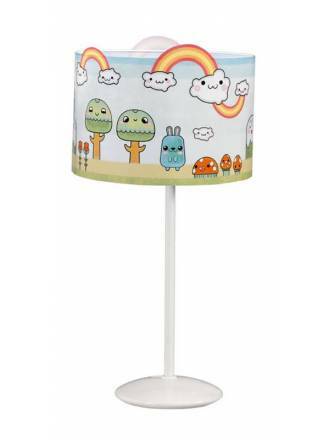 FABRILAMP Cuadros children table lamp E14. Structure in white metal and colors fabric shade. 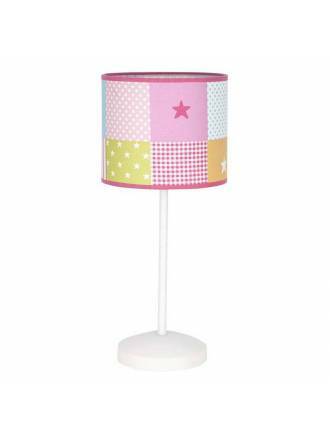 FABRILAMP Cuadros children lamp 35cm. White support and colors fabric shade. 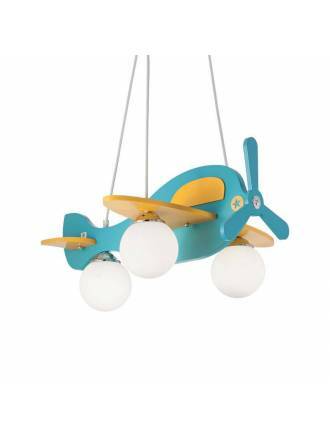 IDEAL LUX Avion 1L E27 children pendant lamp. Body in wood and chrome details. 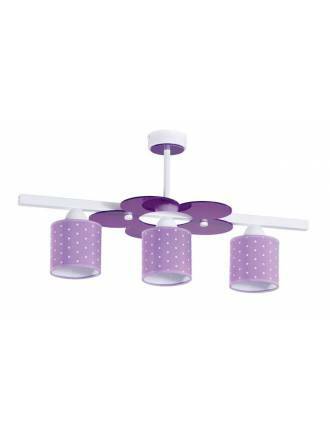 IDEAL LUX Flower 1L E27 children ceiling lamp. Structure in white metal and acrylic colors. 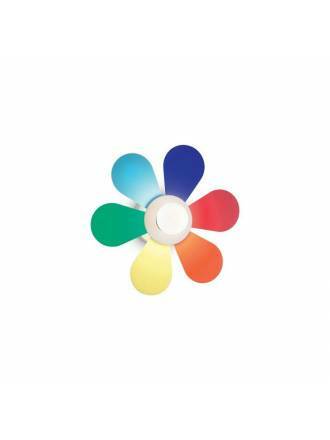 IDEAL LUX Flower 1L E27 children wall lamp. Structure in white metal and acrylic colors. 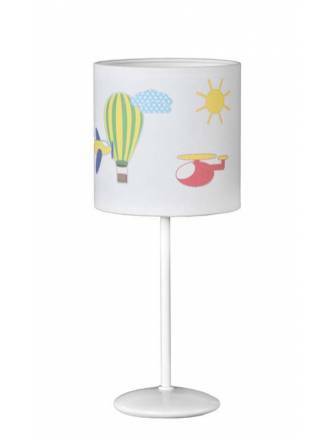 ANPERBAR Globos children table lamp 1L E27 with white metal and fabric shade. 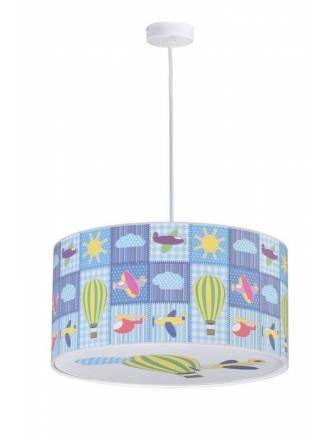 ANPERBAR Globos children ceiling lamp 4L E27 with fabric shade and lower diffuser. 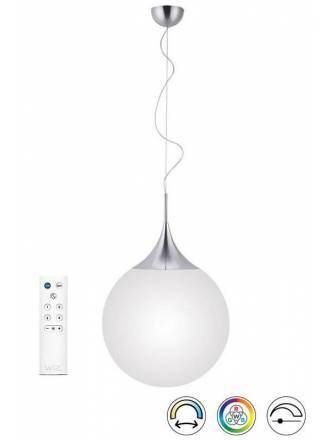 ANPERBAR Globos children lamp 1L E27 with white metal and fabric shade. 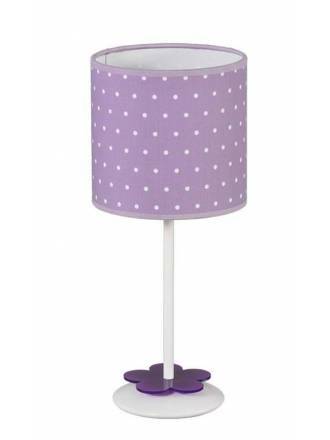 ANPERBAR Topitos children table lamp 1L white metal base and lilac fabric shade. ANPERBAR Topitos children lamp 3L E27 white metal body and lilac fabric shades. 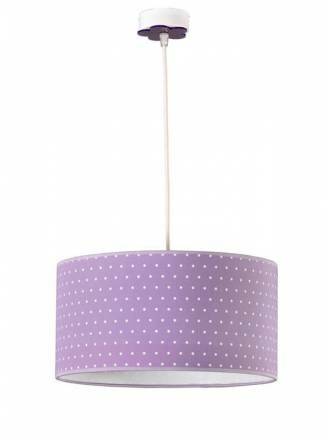 ANPERBAR Topitos children lamp 1L E27 white metal base and lilac fabric shade. 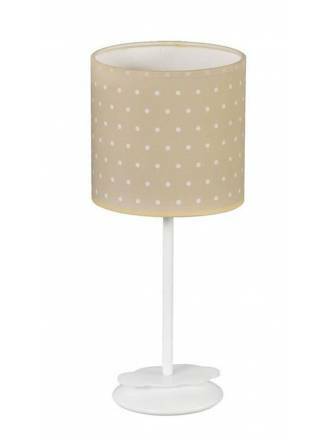 ANPERBAR Buhos table lamp 1L E27 with white metal and fabric shade. 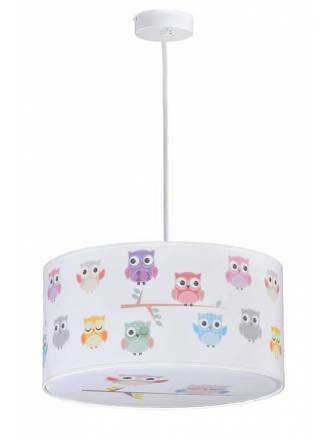 ANPERBAR Buhos children lamp 1L E27 with white metal and fabric shade. 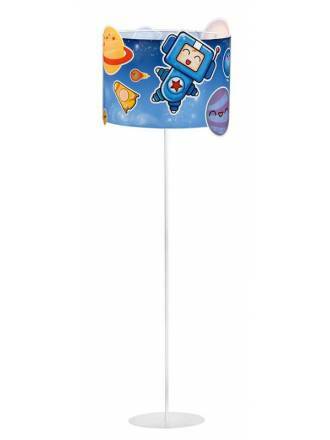 ANPERBAR Roky children floor lamp 1L E27 with PVC shade and white metal. 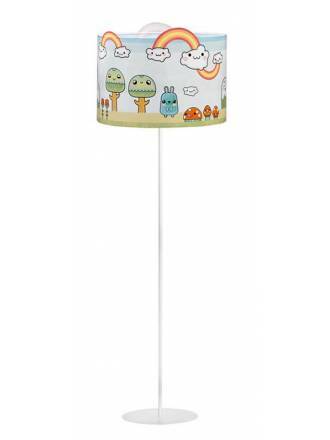 ANPERBAR Roky children lamp 1L E27 with PVC shade and white metal. 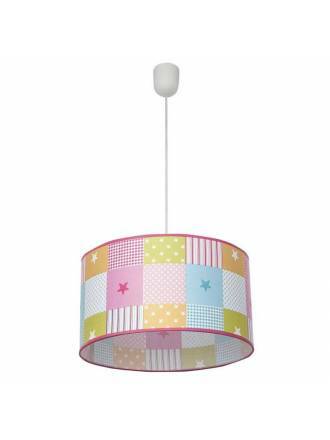 ANPERBAR Roky children lamp 1L E27 with PVC shade. 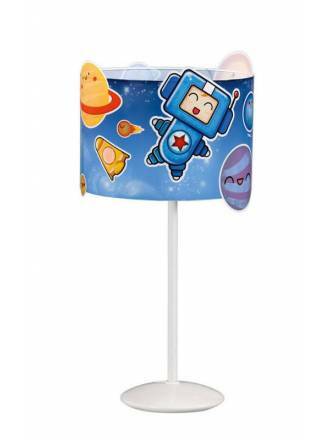 ANPERBAR Bosque children table lamp 1L E27 with PVC shade and white metal. 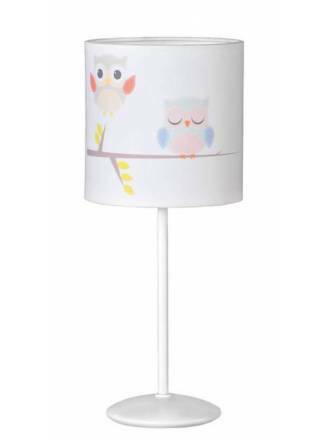 ANPERBAR Bosque children floor lamp 1L E27 with PVC shade and white metal.